Clermont is a city just west of Orlando and it provides an excellent home base for any vacation to Central Florida. If you're planning to visit the Walt Disney World area, Clermont town makes for an excellent selection for accommodation. This residential town has all the retail choices, rentals and supermarkets that are necessary in a town that plays host to year-round tourists. 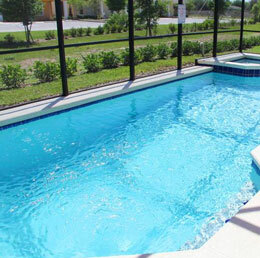 Clermont vacation rentals are an excellent accommodation alternative to the busy Davenport or Kissimmee vacation homes. From moderate and budget friendly Clermont vacation homes to luxurious personal pool homes, we provide a large array of accommodations that are perfect for every budget and needs for couples, families and groups of friends. Our clean and well-maintained properties are a brilliant value with an excellent selection for your stay while you are in the Orlando area. Clermont is a charming city with plenty to do, as well as relaxing by the pools at several of the area's top residential areas like Greater Grover and Clear Creek. Why select the usual accommodation options when you might choose to spread out in a vacation homes in Orlando. Visitors can find the vacation homes in Clermont to be an easy choice because of its proximity to Orlando's attractions. Advantage Vacation Homes has been providing vacationers to Clermont with vacation home rentals since 1989. When you select a vacation pool homes near Disney from us, you can save more money and enjoy more time to make your vacation memorable vacation. For the best in Clermont vacation Homes and accommodations, browse our select rentals properties below.